Uji-kintoki kakigori is a mouthwatering dessert originated in japan! 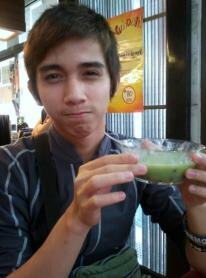 the taste was fascinated to my mouth, that i want to take some more. its so sweet! i do have sweet tooth so i enjoy eating this a lot. 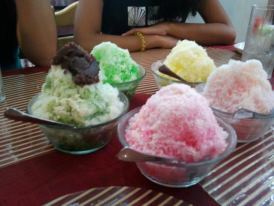 This is the 5 flavors of Kakigori that we ordered and that Hana restaurants serves. 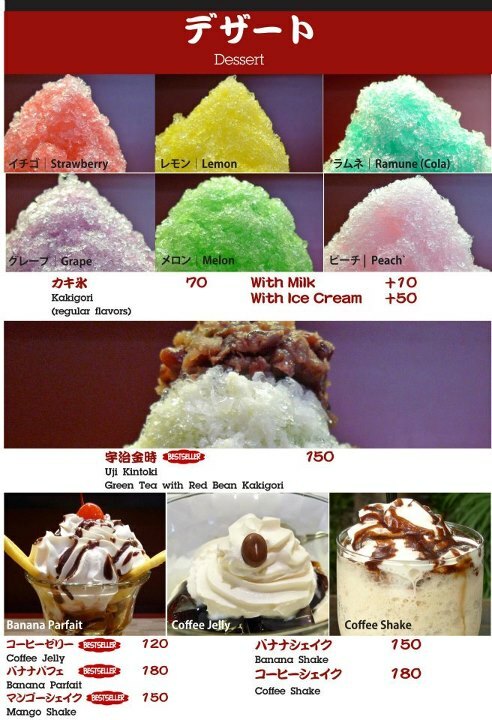 By the way, Kakigori is the japanese term for flavored ice shave. there are a lot of flavors for this kind of dessert like strawberry, lemon, tea, peach and many more. but the most popular or the best seller is uji-kintoki. The Menu of Hana Restaurant for Desserts. 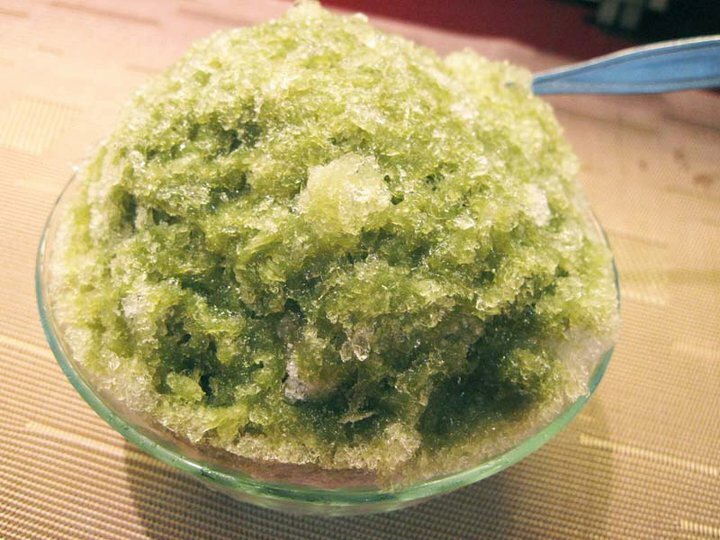 Uji-kintoki is a green tea flavored ice shave with sweet beans on top. a little amount of condense milk is poured over on the top of it. My cute post with Yummy Uji-kintoki! You must try this Uji-Kintoki! this is the best! Enjoy! This is a comment to the admin. Your website:https://eylyenation.wordpress.com/2012/09/19/uji-kintoki-kakigori/ is missing out on at least 300 visitors per day. I discovered this page via Google but it was difficult to find as you were not on the first page of search results. I have found a website which offers to dramatically increase your traffic to your website: http://voxseo.com/traffic/. I managed to get over 10,000 visitors per month using their services, you could also get lot more targeted visitors than you have now. Hope this helps 🙂 Take care.